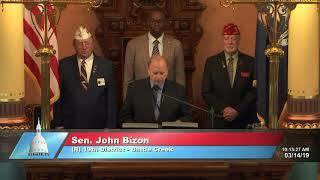 Senator John Bizon welcomed representatives of the American Legion to the Michigan Senate to commemorate the 100th anniversary of the founding of the American Legion. State Sen. John Bizon, R-Battle Creek, welcomed a constituent from the 19th Senate District to deliver the invocation before session on Tuesday, Jan. 22, 2019. 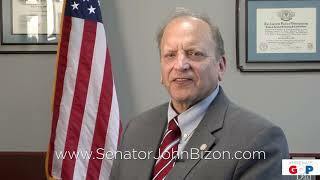 Senator John Bizon, M.D. 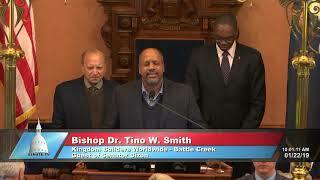 's office is open and ready to serve the residents of Michigan's 19th Senate District. 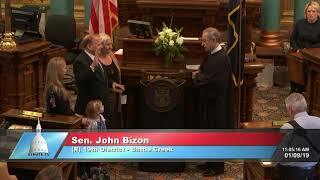 Senator John Bizon took the oath of office for the Michigan Senate on January 9, 2019.